Bavelincourt is a village in the Department of the Somme on the D919, Amiens to Contay road. It is approximately 16 kilometres from Amiens to Bavelincourt and 2 kilometres from Contay to Bavelincourt. 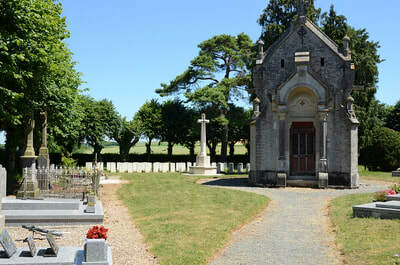 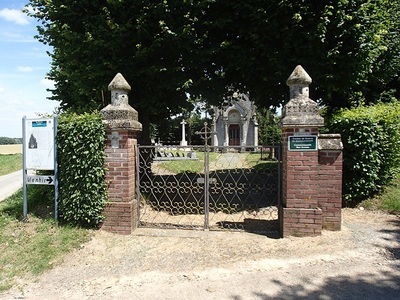 The cemetery will be found 500 metres along the first left hand turning on the D115 to Bavelincourt (0.5 kilometres). 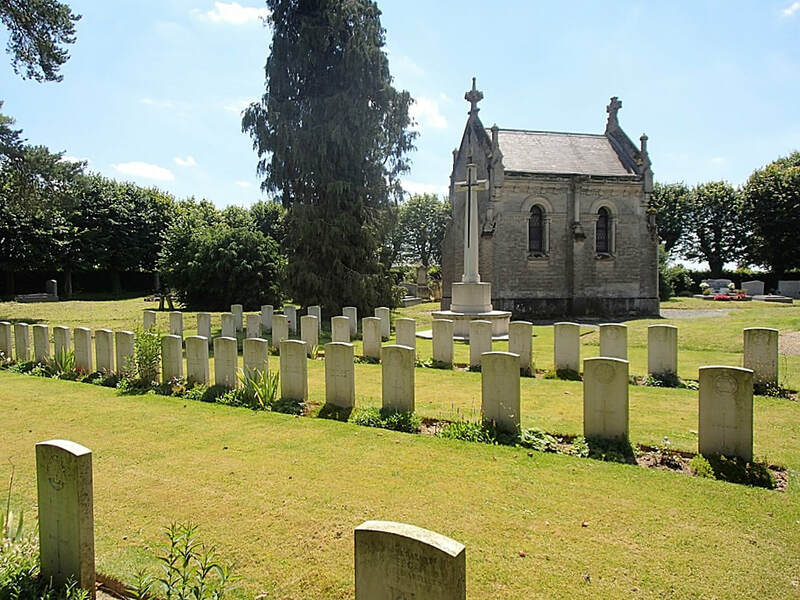 The communal cemetery was used from April to August 1918 by units and field ambulances of the 47th (London) and 58th (London) Divisions. 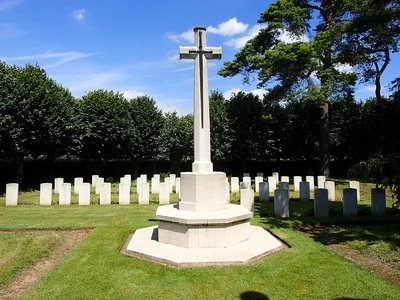 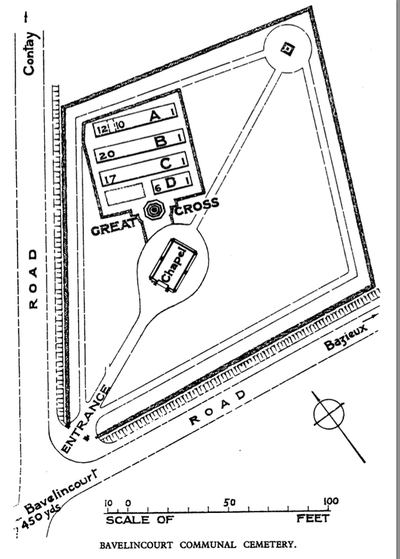 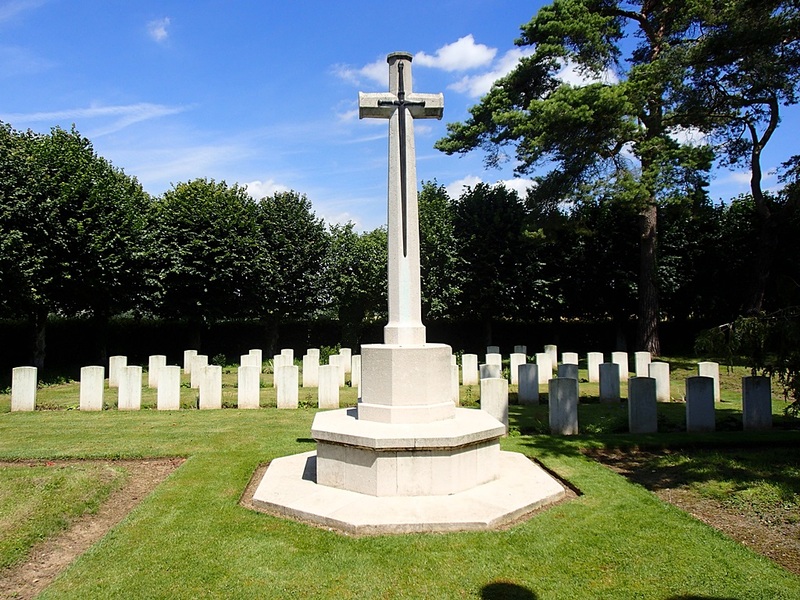 The cemetery contains 54 Commonwealth burials of the First World War. 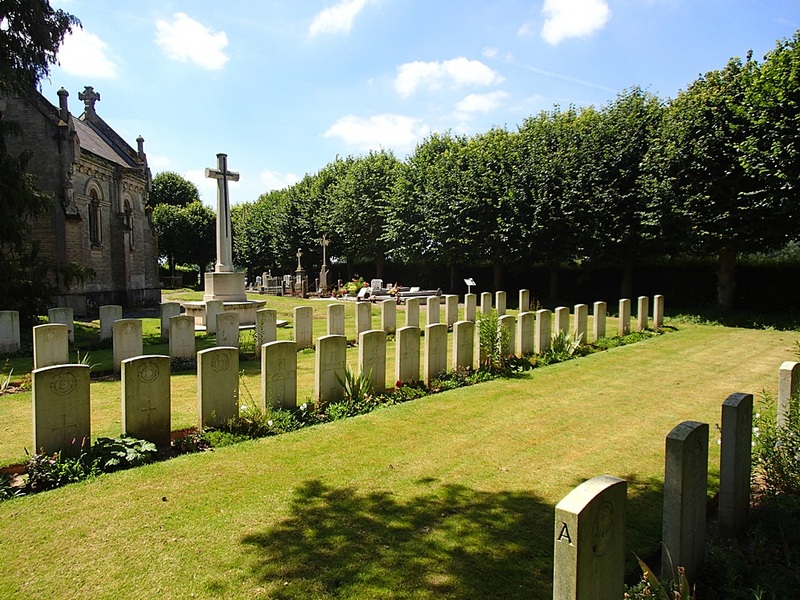 Casualty Details: UK 51, Australia 3, Total Burials: 54.